Experiture is excited to announce that we will be exhibiting at NIGA 2016! NIGA 2016 will be held from March 14 – March 16, 2016 at the Pheonix Convention Center in Phoenix, Arizona. Come by Booth #428 to talk about marketing automation, multichannel marketing, personalized player portals, and everything casino marketing. We’ll be showing demos of the all-new Experiture 4.0 platform — and giving away special prizes! Experiture is excited to announce that we will be exhibiting at the 2015 Global Gaming Expo! G2E 2015 will be held from Sept. 29 – Oct. 1 at the Sands Expo & Convention Center in Vegas. 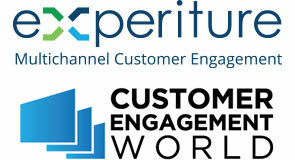 Experiture, is proud to announce that it will be exhibiting at the upcoming digital marketing conference, C3 in New York City. Today is an important day in our corporate history — with Indros Group announcing that it has completed the spin-off of Experiture! We are now a stand-alone wholly-owned subsidiary focused on bringing our new Customer Experience Marketing software platform to market.